The goal of The Lions Pride Math Challenge 2018 is an annual mathematics contest, open to all students. The contest provides a challenging, engaging mathematical experience that is both competitive and educational. 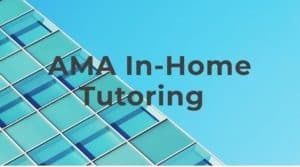 It will stimulate enthusiasm and a love for mathematics, teach major strategies for problem solving, develop mathematical flexibility in solving problems, strengthen mathematical perception, foster mathematical creativity and ingenuity, and provide for the satisfaction and thrill of meeting challenges. The competition will consist of 8 Levels that correspond with school grades 1st through 8th. Papers will be corrected that very day with winners announced within a week on Easton Lions website and Facebook page. Testing time will be a maximum of 75 minutes to complete a combination of multiple choice and open-ended questions. No aids other than writing instruments and paper will be allowed. In particular, no calculators will be allowed on any part of the competition, and any cell phones must be turned off. Print your ticket before you come for the challenge. Do you want to challenge your students to use their math skills in new and creative ways? Math Competitions and contests can strengthen vital math learning skills in students of all ages. In order to solve critical thinking questions, students work-out their brains by reading and thinking carefully! Math contests will help students learn to be good problem-solvers! Participation fee is $10 if you register before March 1st, 2018. After the deadline, its $15. Level of participation is the student's school grade level. Participation at levels lower than the actual school grade level is not allowed. Parents and legal guardians are not allowed in the competition rooms. The families of the winners will be contacted by the fourth week of May. The results will be available via our web page and will be sent via e-mail to all families. Each contestant will receive a certificate of participation. Please type the students' names on the REGISTRATION FORM exactly as they want them to appear on their certificates. The first two individual winners in each level will receive a plaque and a certificate. 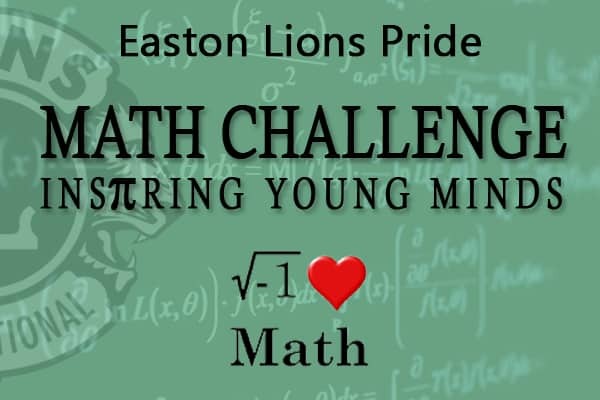 For more information regarding Lions Pride Math Challenge 2018, please visit our website www.eastonlions.org/math or contact Pratima Penumarthy by email math@eastonlions.org or 781-258-8238. A little challenge can always inspire students who love math to greater achievement! Students may need a ruler for question(s). Most of the open-ended questions, there may be more than one part. Be sure to read the directions carefully. One cannot receive the highest score for an open-ended question without completing all tasks in the question. For example, if the question asks you to show your work or explain your reasoning, be sure to show your work or explain your reasoning in the space provided. If any problem does not ask you to show your work or justify your reasoning, you may use the space provided, but only those parts of your response that the question specifically asks for will be scored. Write your response in the appropriate location within the response box. All winners and their parents are invited to the Easton Lions Club meeting at the Easton VFW on Wednesday May 24th at 6:45 pm for recognition of the student's accomplishments in the Math Challenge. Students will receive an email from Pratima Penumarthy with details, please let her know if you can attend via email or at 508-238-7471. The VFW location is 61 Rockland Street, on the corner of Allen Road, North Easton, Massachusetts.